3 COMPANY PROFILE 700 employees Call centers are strategically located in various locations in HCMC including Tan Phu District, District 7, District 11 and District 1. Staffs are well-trained and professional Up-to-date technologies to manage the database system and to track and record all calls One of the most experienced companies in the field. 6 CALL CENTER Professional and researchers have concluded that in the age of globalization, you don t have to own something to control it. What they meant is that business should make use of outsourcing services to focus on their core capacity for competitive advantage. NTV is committed to bring about the best service with its call centers to provide telesales and customer care services. 7 NTV PROVIDES Outbound: Including staff, infrastructure, computers, software. Continuous recruitment and training are provided to staff to assure the quantity and quality of human resource. Inbound: Our partner manage the call center, we only support to provide staff, payment and implement social insurance as required by the law. 9 Outsourcing therefore is a solution to the above problems and minimize the cost for this indispensable service by offering the below advantages: Optimize companies core advantages Minimize the management cost Save time and resources Minimize time approaching the market Maintain customer relationship effectively and efficiently Strengthen the ability to coordinate outsourcing strategies with partners to initiate cross selling services Support to measure customers attitudes and behaviors towards companies services. 10 Why should you choose NTV? Clients benefits is our top priority because we believe that clients success is our success. Our staffs are well-trained, dedicated and responsible. We offer regular training activities to advance and update employees skills based on market demands. We save your time and cost while maintaining and promoting your business values to clients and customers We understand the local market and we know how to communicate with customers satisfactorily We are equipped with modern technologies to ensure high productivity and to optimize our service capacity. 11 COMMITMENTS Professionalism Communicate with customers according to a scientific timetable, communication method is friendly and to the point. Calls are made based on updated database. Effectiveness Customers are satisfied Capacity Update database system & modern technologies Human Resource Experts in database system, communication, human resource management and customer care CONFIDENTIAL Strongly adhered to confidentiality in protecting partners database following clear agreements. Press Release. Press Release SAVILLS VIETNAM REPORT ON NHA TRANG REAL ESTATE MARKET 1. APARTMENT SECTOR 4,200 6 3,500 5 2,800. projects. We are currently seeking a high-calibre professional to join our team as Financial Services Trainee. SENIOR DATA PROGRAMMER. Working location: Ho Chi Minh City, Vietnam. Labor Outsourcing Decree No. 55 and regulatory trends in outsourcing 21 May 2014 Hang Nguyen Special Counsel This presentation has been prepared for clients and professional associates of Baker & McKenzie. 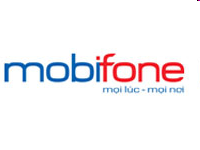 R&D Mobile Developer Assistant (PhoneGap) Working location: Ho Chi Minh City, Vietnam. DIRECTOR, FMCG and Retail. Working location: Ho Chi Minh City, Vietnam. LIST OF HOSPITALS/FAMILY MEDICAL CENTRES Last updated: October 2014 Please note that this list is provided for the information of Australian travellers and those needing medical assistance in Vietnam. INVESTMENT IN WIND ENERGY IN VIETNAM: THE RIGHT TIME HAS COME? WE ANSWER QUESTIONS THAT NO ONE ELSE CAN. 68 T.W. Alexander Dr. P.O. Box 13628 Research Triangle Park, NC 27709 www.cuttingedgeinfo. datasheet QCF Contact Centre Operations What is an NVQ? assured Marine Insurance Underwritten by Bao Viet Insurance Corporation MARINE INSURANCE Marine Cargo and Goods in Transit Insurance Liability Hull Claims www.hsbc.com.vn 02 Why BaoViet s Marine Insurance? To find out how your organisation is currently managing diversity. iii. How is my organisation managing diversity?